After a surprise release, Eminem’s 13 track album, “Kamikaze” races to the top of charts. Despite its success on the charts, critics have been divided on the quality of this project. I’ve listened through the album a few times while reading the lyrics, and here’s what I think about it. The album is well put together, as a whole. Just listening through it from a compositional standpoint, you can’t help but nod to the beat. While repetitive, the beats are made well and highlight Em’s vocals and rhymes. Speaking of, his rhymes are one of the strongest aspects of the album. Whether you’re a fan of Eminem or not, you really can’t deny the fact that his rhythm, flow, and rhymes are high quality. 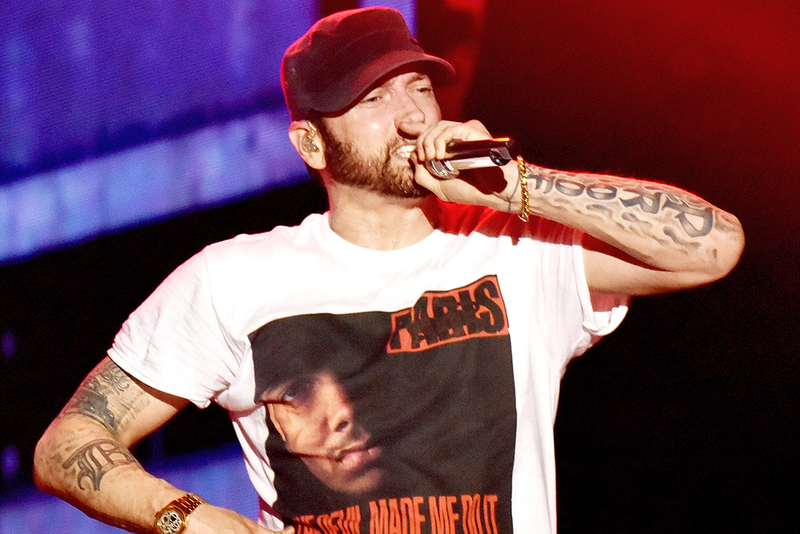 In his track “Em Calls Rob (Skit),” Em brings up a time when a listener criticised him for rhyming “rhymes” with “chimes.” Something that separates Em from younger rappers is his rhymes and his wordplay. His rhyme schemes are more complex than the slanted rhymes that punctuate the sentence of the modern rap hit. Em continually shows his complicated rhyme schemes throughout the entirety of the album. 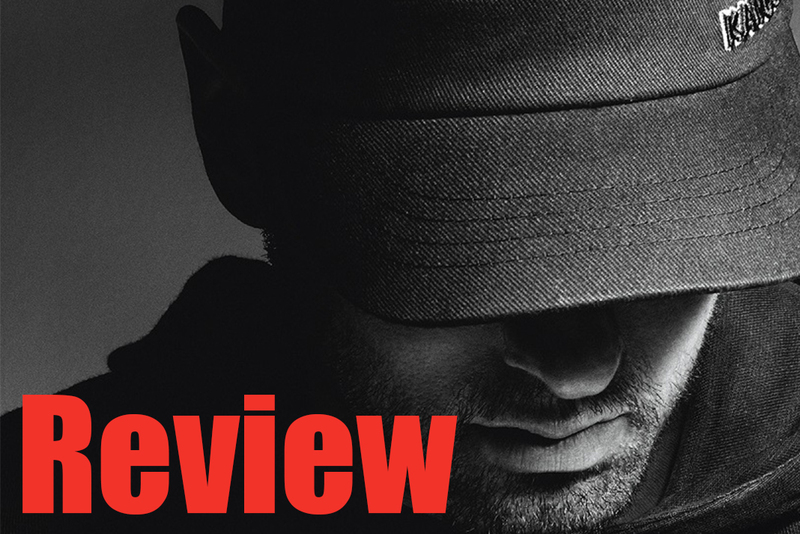 Em comes out guns blazing on his first track, “The Ringer.” If you haven’t heard anything about the album itself, you’ve still probably heard something about “The Ringer.” After the all-encompassing failure of Revival, Em has been receiving hate from fans, critics, and other artists. 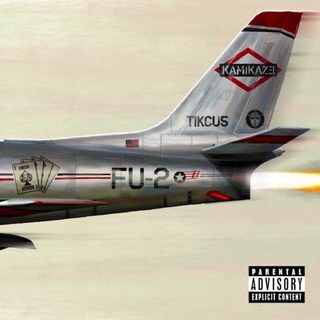 The Ringer is one of multiple songs on Kamikaze that Em uses to respond to criticism, firing shots at people/artists such as 21 Savage, Joe Budden, Migos, Lil Pump, Machine Gun Kelly; the list is seemingly endless. There are way too many call-outs to highlight here, but it’s worth going through and trying to at least find out where some of his lyrics are coming from. It adds another layer of depth and quality to Em’s lyrics that you wouldn’t fully understand otherwise. Most of the shots he fires at specific artists are easy to pick up on, but sometimes Em takes a more widespread approach and references whole groups of artists. His track “Not Alike” starts off with a spin-off of Migos’ “Bad and Boujee,” then goes on to diss the entire circle of mumble rap artists. Not every track is a shot at other artists, though. Em’s track “Stepping Stone” is all about his troubled history with D12, the rap group that started his career. D12 is said to have lost their connection after Em’s close friend, Proof died back in 2006. “Stepping Stone” is Em’s final reflections before saying goodbye and letting go of D12. “Kamikaze” is everywhere, taking the media by storm. Instagram, twitter, and facebook are littered with posts about how much people loved or hated the album, and whether or not Em should hang up his coat or continue to release music. The album is good, really good. Eminem is a rap veteran, one of the greats. But it’s not amazing; it’s not mind-blowing or life-changing, nor is it his best album. As a listener, there are a couple songs that are a bit jarring and don’t completely fit the style of the album. A bit more cohesiveness would have a large effect on the flow through the tracks. Whether you enjoy his music or not, one thing is for sure: If someone tries to diss Em, he’s going to come for their throat. Previous articleGet Hooked on the Bass Fishing Coaches!